Frank Krüger was born in Berlin in 1962 and created exceptional works in oil on canvas since his early childhood. As the son of a technical drawer, he was practically born with the sense of details, perspectives and color harmonies. His first painting was sold at the age of just twelve years. After school and his education as an stockman in the zoo of Berlin, years of artistic self-discovery followed. In 1992 after successful exhibitions in Berlin and on Mallorca Frank Krüger decided to move to this gorgeous island and devote himself exclusively to art. 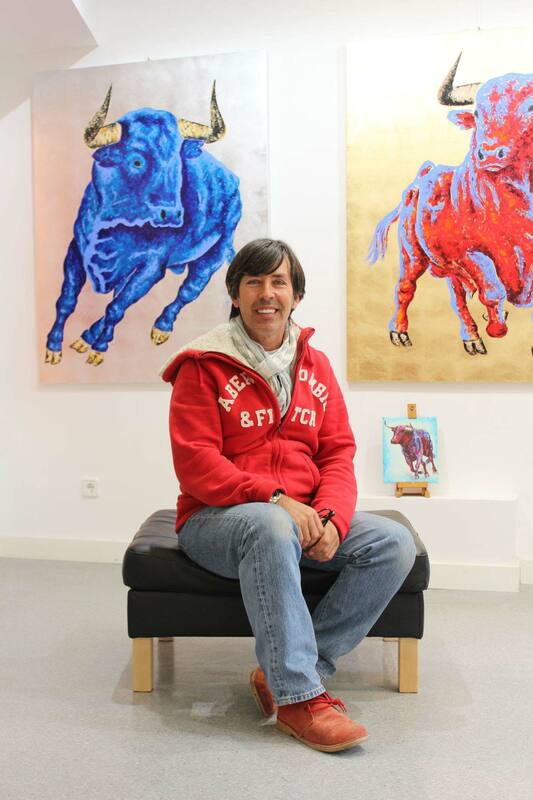 Since 2007, the artist paints and sells his works at the Galeria Frank Krueger on the waterfront at the port of Cala Ratjada, Mallorca. The view when he looks up from his easel, offers him the azure sea and the bobbing fishing boats in the harbor. Since 2010 his work can also been found in the second “Galeria Frank Krüger” in the heart of the island capital Palma de Mallorca. There, on over 500 square meters his paintings are presented as well as the work of other international artists. The next big step followed in 2016 with the opening of the third “Galeria Frank Krüger” in Berlin-Mitte at the Gendarmenmarkt.